As a writer, it is expected that you keep to a strict word-count. When you pick up a magazine, articles can be a 100-word write-up or a 1000-word analysis. Notes created for films are easily over 100 words – so this feature will focus on reviewing films in a concise 100 words. No more, no less. 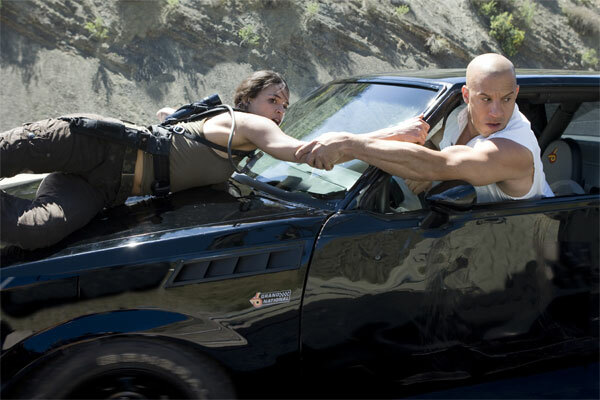 Fast & Furious ditches street-racing completely and turns into a brotherly-bonding exercise set within the drug-cartels, and tunnels, operating between Mexico and the US. Brooding Dom (Vin Diesel) is on a revenge mission, while Brian (Paul Walker) is decides whether he is a “good guy acting bad” or a “bad guy acting good”. Justin Lin continues directing, confidently upping the stakes in fresh stunts and hand-to-hand action – including a Casino Royale inspired foot chase in LA. Diesel and Walker command your attention, and their initial meeting is electric – setting foundations for a dynamic that is built for longevity; I’m sold!